A highly qualified workforce, and high performance special machine tools ensure that EMOD series production is well capable of tackling even complex special requirements in small batches. Here again, quality and technical orientation are top priority. For manually intensive tasks EMOD has always spe t craftsmen available who can bring many years of know-how to bear. You can see the results for yourself. The most modern production techniques, a well thought out range of machine tools and highly qualified staff are the guarantee for trouble-free and cost-optimised series manufacture at EMOD. A particular feature is that all phases of production are laid out for energy saving in manufacture. Perfectly organised recycling concepts, optimum use of waste heat, and a large investment in filtration equipment are the expression of a high environmental awareness, ensuring that no valuable resources are wasted and that environmental impact is reduced to an absolute minimum. The entire production process is equally well organised. Modern and flexible machines ensure that long set-up times and changeover times are things of the past. 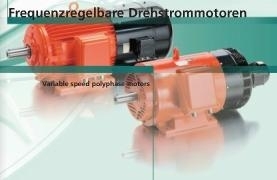 The rigorous implementation of the EMOD frame system for all types of motors means that a wide variety of customer requirements can be satisfied quickly and without excessive cost.